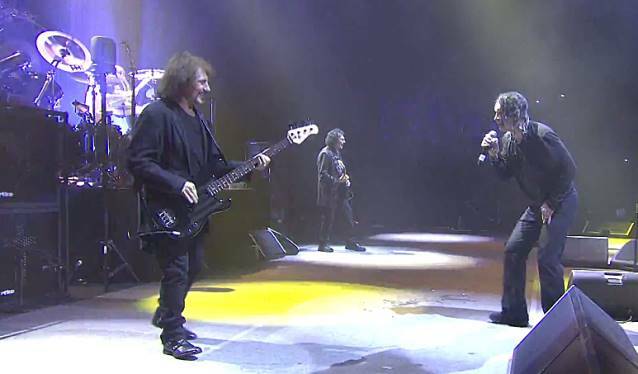 BLACK SABBATH's new live album and DVD/Blu-ray captured on this year's world tour, called "Black Sabbath: Live… Gathered In Their Masses", sold around 9,000 copies in the United States in its first week of release to debut at position No. 2 on the Top Music Videos chart. * Deluxe box with a Blu-ray disc of live show with exclusive bonus visual extras/two DVD discs/a CD featuring live audio from the show/poster/signed set list/photo booklet/guitar picks/official show "ticket"
"Black Sabbath: Live…Gathered in Their Masses" was recorded April 29 and May 1, 2013 in Melbourne, Australia when the band — Ozzy Osbourne (vocals), Tony Iommi (guitar) and Geezer Butler (bass) — kicked off their world tour in support of their "13" album, which entered the charts at No. 1 in 13 countries (including their first #1 in the U.S.). 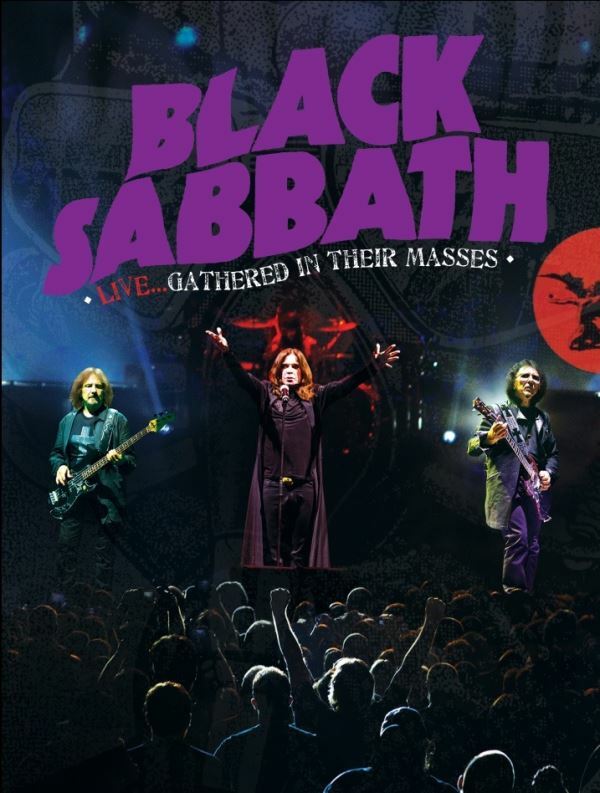 An "unboxing" video of the "Black Sabbath: Live…Gathered in Their Masses" deluxe box can be seen below. "13" has sold 334,000 copies in the United States since its June 2013 release.